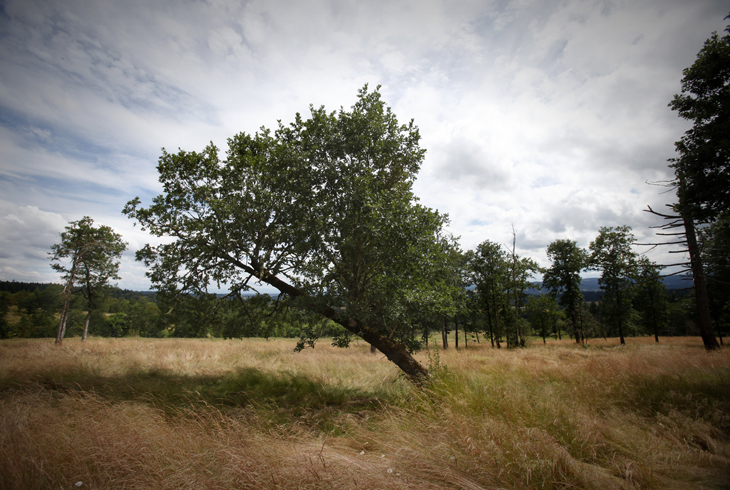 Overlooking the Tualatin River Valley, Cooper Mountain Nature Park is located on the edge of Beaverton. 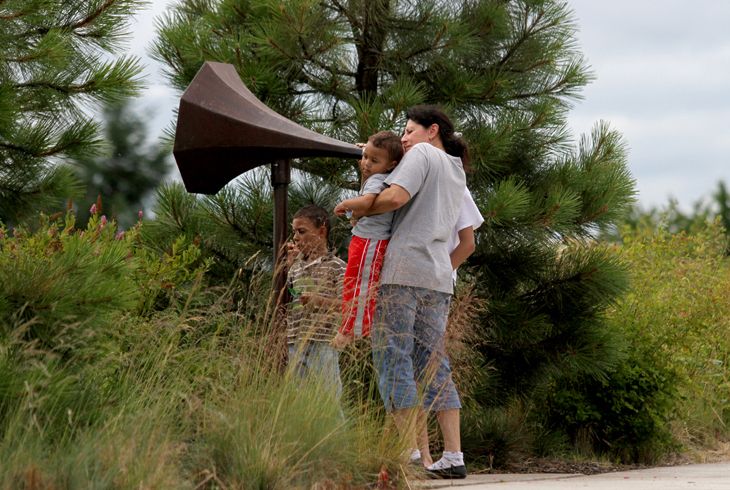 The 230-acre park offers visitors 3½ miles of trails that traverse the park and pass through each of its distinct habitats - from conifer forest to prairie to oak woodlands. Visitors will be rewarded with grand views of the Chehalem Mountains, close-up looks at Oregon white oaks and a small prairie that has sat relatively undisturbed for hundreds of years. 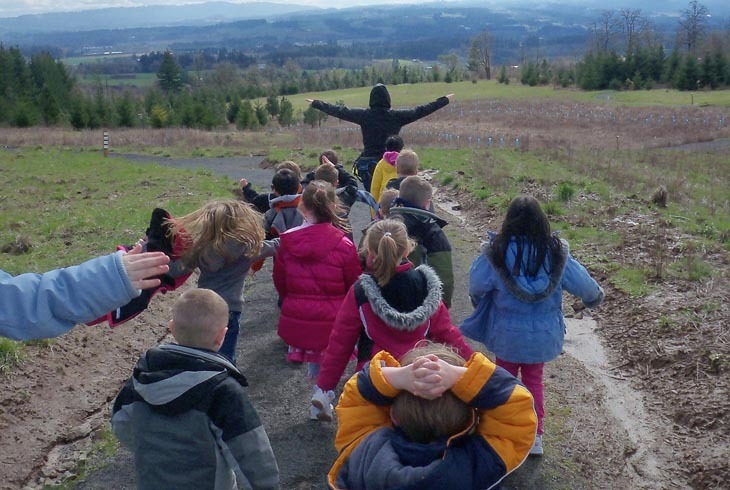 Protected with voter-approved funds, Metro and THPRD work in partnership to manage Cooper Mountain Nature Park. Together, the two agencies will continue to restore habitat, monitor wildlife, maintain hiking trails, and provide nature education programs to visitors of all ages. 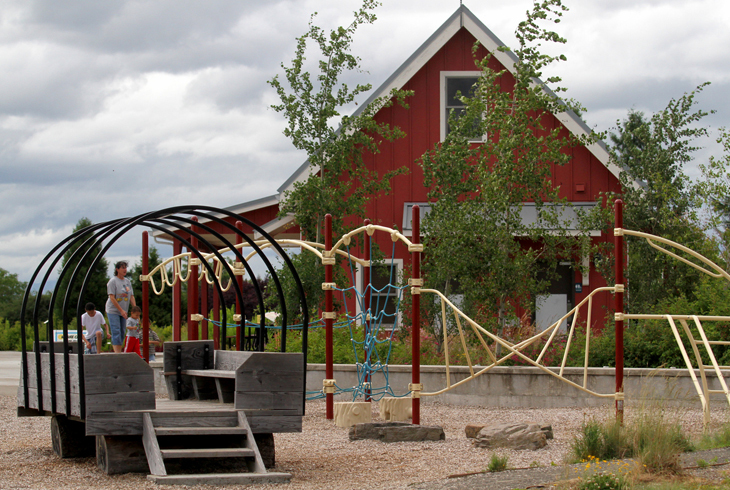 The park hosts classes and other events at the Cooper Mountain Nature House, and the site includes ample parking, restrooms, and one of the district's more popular nature play areas. Pets Prohibited: For the protection of wildlife, dogs, horses and other pets are prohibited.